Disclosure: Susie's Reviews receives compensation or products from brands in exchange for the posts on this site Our opinions are honest and our own. Loacker, global premium wafer and confection brand, proudly announces the third annual PowerMom celebration on May 11th by hosting “Loacker’s Afternoon With Maggie Gyllenhaal” Facebook Live from 1 – 1:30PM EST. Honoring Maggie Gyllenhaal as an inspirational example of a 2019 PowerMom, the Facebook Live will feature an intimate discussion and Q&A session with Maggie Gyllenhaal. 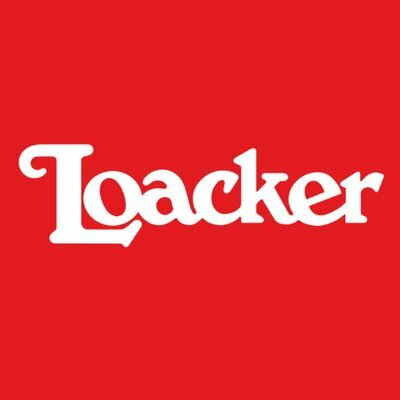 To nominate a mom for “Loacker PowerMom Awards,” please go HERE and submit your entry between April 8th – 22nd. Join us for “Loacker’s Afternoon With Maggie Gyllenhaal” Facebook Live on May 11th from 1 – 1:30PM EST. 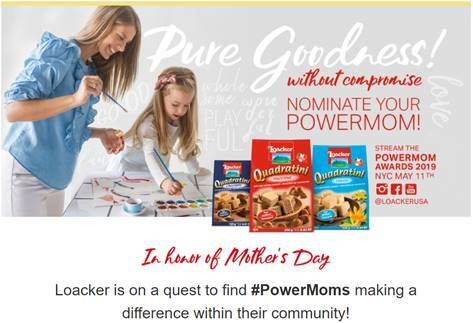 Please follow @LoackerUSA and join the conversation with #PureGoodPowerMom. Thanks for the info. I'll need to share this with my wife, who is the true PowerMom in our family! I really like the contest, I will share this with my friend who is mom of a little girl. I have a few friends i would love to nominate. This is great, thanks a lot for the info and for sharing. Glad I found this article, will nominate a friend, she's a real PowerMom! I love this, sharing this with my friend. Wow! I'll share this with my friend who's in the area! What an awesome giveaway! I need someone to nominate me now! That is such a wonderful giveaway! Will share with my sister-in-law who is mom! Oh wow, This is such a great giveaway. I have so many friends that I love to nominate. Goodluck to everyone! This sounds like a great giveaway for moms. I have to nominate my sister, I think she is a powermom.